Marni for H&M is finally in stores! 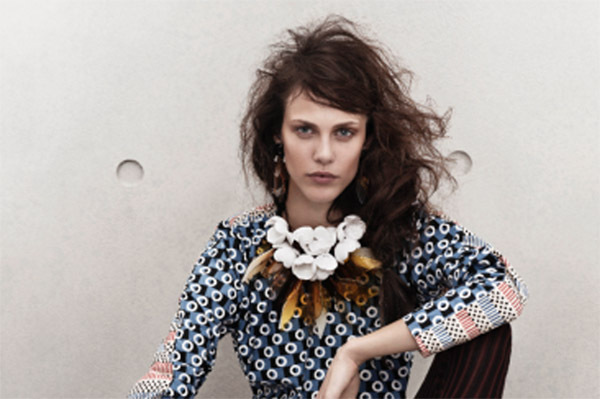 It seems like we’ve been waiting forever, but Marni for H&M finally lands at the retailer today (March 8.) Check out the modern — yet affordable — styles and rush out to your local store before the collection sells out (and it will). Listen up, Target: H&M knows how to handle its designer collaborations so that all shoppers have a chance to purchase the budget pieces — and so that no one scoops up every last piece. Every customer can buy from the entire collection but with a limit of purchasing a maximum of two pieces per product, i.e. not more than two sizes (shoes/garments) or pieces (accessories) per product per customer. The shopping limit covers the entire Marni for H&M Collection. Your place in line does not guarantee any items from the Marni for H&M collection. The first 300 people in line will be given a colored bracelet; there are 10 colors with one for each group of 30 customers. Your color determines when it’s your time to shop in the designer collection area. Each group will have 15 minutes to shop, with five minutes between slots. The bracelets are only for customers shopping the Marni collection and are used to shorten the queue and make your shopping experience easier. Not among the first 300? No problem! You can still shop in the store as the queuing system only applies to the designer collection. Find inspiration and get ready for your turn — after three and a half hours we’ll open the area to all customers. A selection will also be available online, but the vast majority will only be sold in stores. H&M rep Jennifer Ward told Refinery29 that fashion-savvy shoppers in NYC and LA were planning to camp out overnight to be first in line. “They’re very calculated, and they’re looking to get their hands on the specific pieces they want. So they come in knowing exactly what they want, and they’re asking for it, and they’re running to get it,” she said of the dedicated Marni fans. Let’s hope everyone gets their Marni and no one gets hurt! And if you don’t get what you want, check back in a couple of days for returns, Ward said. Are you snatching up Marni for H&M today? Tell us about your haul!